Only pay for what’s important to you. Whether on our site or our mobile app we make it easy as 1-2-3. No one offers better value for your money. Affordable frills, guaranteed, with our exclusive bundle. We are committed to offering you choices when you fly. You’ll only pay for what’s important to you. We serve up all our reasonably priced options a la carte, so you never pay more than you need to. But if you wanna’ have it all, we offer the WORKS. You’ll save like nowhere else, with over 50% off the retail prices for all our best options like seat selections and bag choices. More importantly, you get 100% piece of mind with maximum flexibility and the ability to change or even get a refund. It's not easy to keep fares so low. Our airplanes are new. That means we have some of the most efficient aircraft in the industry. That saves money! We pass that savings onto you. We charge for checked bags. Bags weigh a lot. Heavier planes cost more to fly. By charging, we carry less bags and pass the savings onto you. We charge for carry-on bags. Fewer carry-on bags allows for faster boarding. This means we have more time to use our planes which saves us money. We pass the savings onto you. More importantly, it ensures your carry-on will get on the plane. If you buy your bags and seats in advance you wont need extra help at the airport. That saves money and so do you. We have state of the art seats. Our seats have been carefully designed to maximize space and comfort. More importantly they are light weight which saves millions of gallons of fuel each year. This means we can lower our fares. BONUS: Our seats are pre-reclined so no one can recline on you! The equipment to provide TV and WiFi on airplanes is VERY expensive and heavy. By removing these, we save millions in fuel costs. We pass that savings to you in our low fares. Buy your drinks and snacks. All airlines charge for drinks and snacks, they just wrap it in the cost of the ticket. By charging for it separately, we save money and let you decide what is important! The Mile High City! 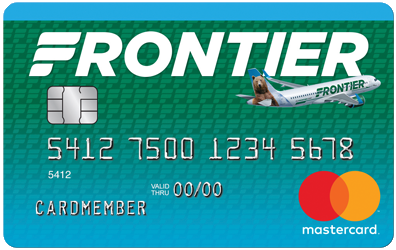 Frontier is my favorite airline to fly. Great service and fantastic people working there. And I love the animals on the tail! one passenger at a time, starting with you. We like to save you green by being green. Green isn’t just the color of our logo, it is the way we do business. Recognized as an industry leader in airline fuel-efficiency by The International Council on Clean Transportation, we work hard to be efficient in every way. A great example of this dedication is our ultra-light weight seats, made from recycled leather products. This seemingly small change is estimated to bring big results: reducing the weight of each seat will save 214 gallons of fuel per year. Wow!